Apple Bob they call him. 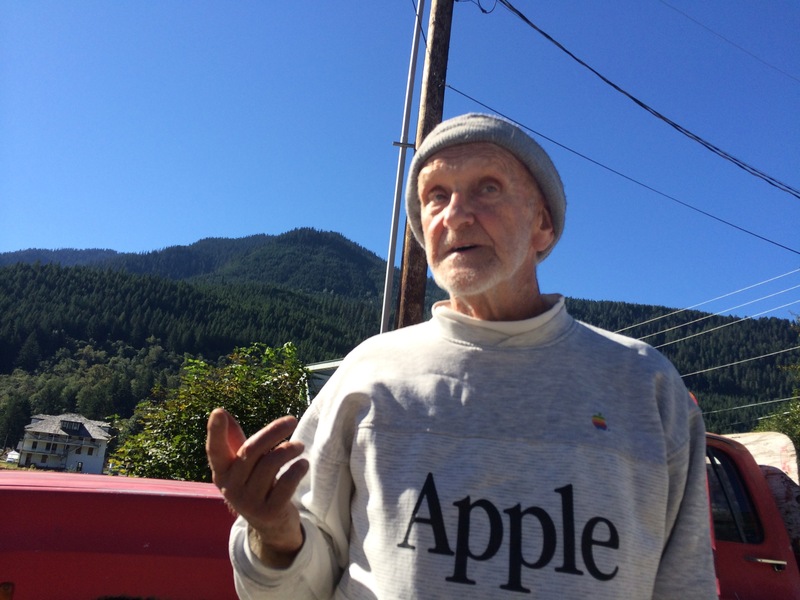 He sits outside the Skykomish deli every Saturday. He sells an assortment of fruit including apples, plums and pears. He owns a small fruit farm over in Pateros. The farm survived the wildfires this summer. He has some friends over in Tumwater Canyon. He had to drive over and remind them there was a fire nearby this summer. Sometimes news travels a bit slower in these parts. We bought one apple for $1. We were all out of cash and felt bad – just some credit card carrying city slickers – at least that’s how it felt. We walked away and got back in our car to be on our way. We noticed Bob walking towards us with a handful of round, shiny goods. He insisted we take three other fresh-picked apples for free. He knew we’d need them for lunch. That’s just how things roll in these parts. 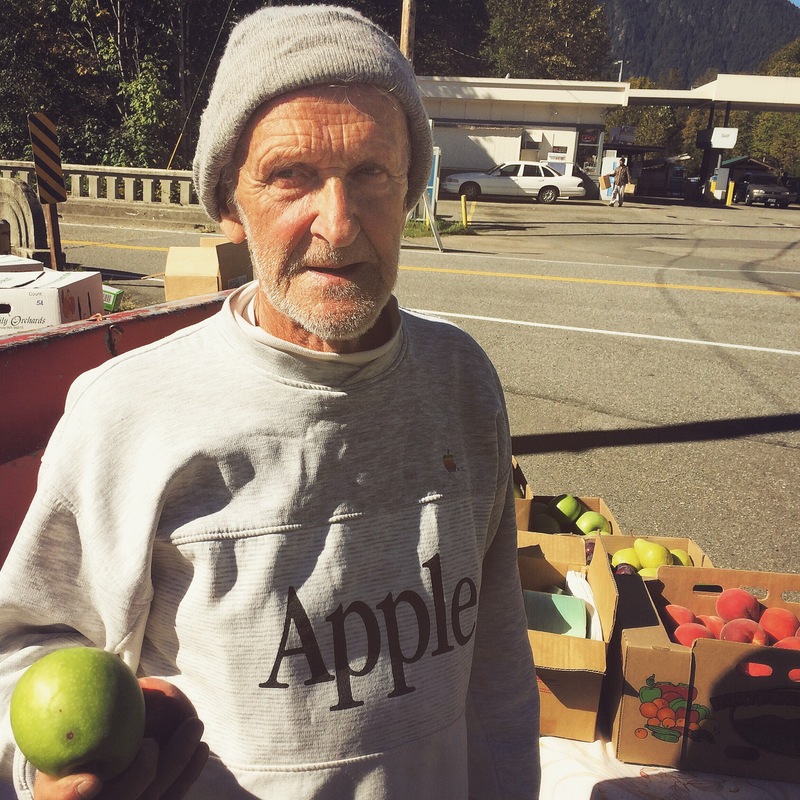 If you’re out on Hwy 2 this fall, stop and meet Apple Bob. 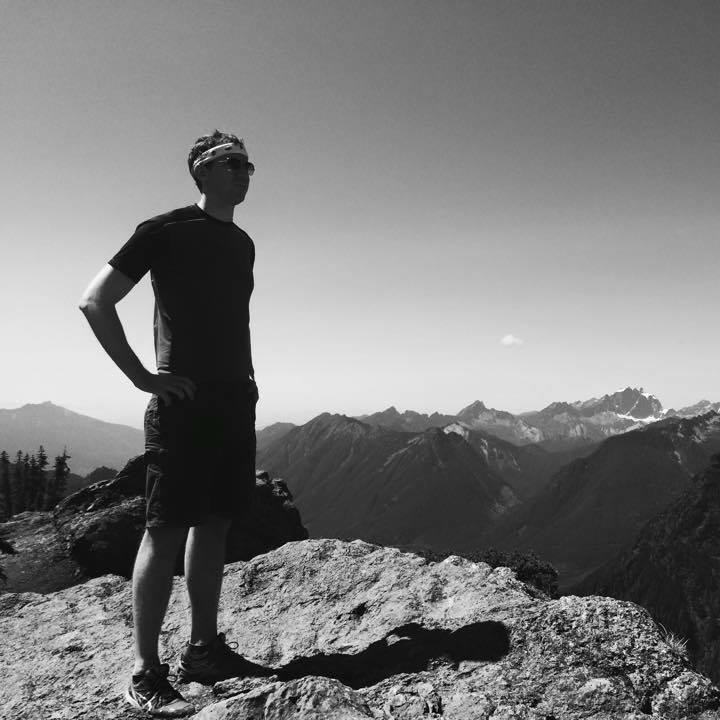 He’ll tell you about his farm, the state of this year’s harvest, stories from his buddies over at the Cascadia and some things you don’t want to miss as you head up the pike towards Stevens Pass. 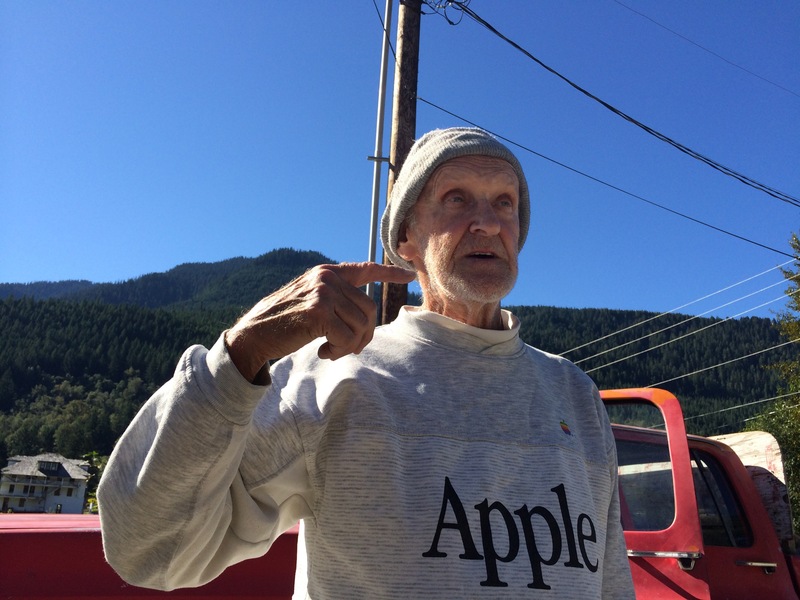 You’ll recognize him by the incredible Apple Macintosh sweatshirt he wears. I assume he’s had it since 1984…possibly before and was probably in on some beta group…or he’s managed to ignore technology all together and likely thought it was pretty cool that someone thought to make a sweatshirt for apple farmers like himself to wear during chilly Fall mornings. Man I love this state. 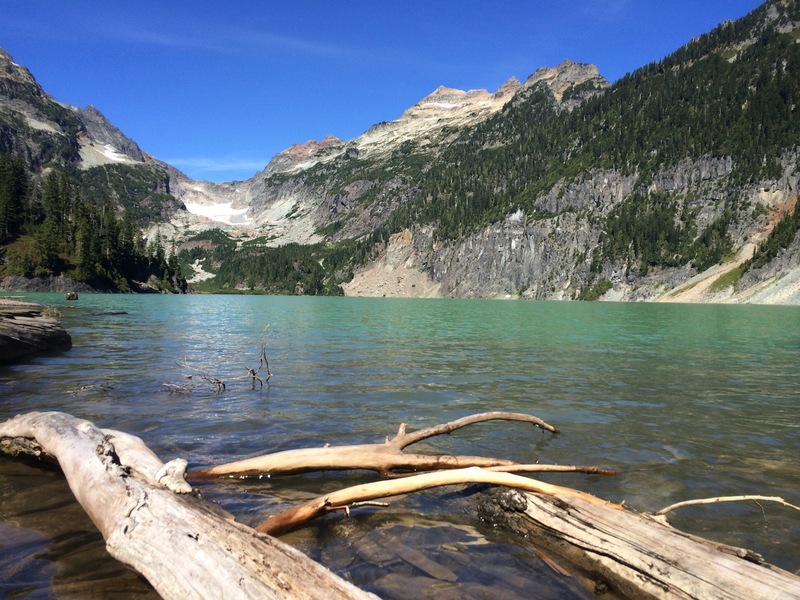 See you again soon Bob…and a mighty fine lake it was indeed.